Children can be picky, especially when it comes to healthy foods. With so much processed foods invading our shelves, the war on unhealthy foods can be overwhelming and stressful when cooking for kids. As one in five children who leave UK primary schools are now obese or overweight, the likelihood for children to develop Type 2 diabetes, heart disease, cancer and stroke in later life. 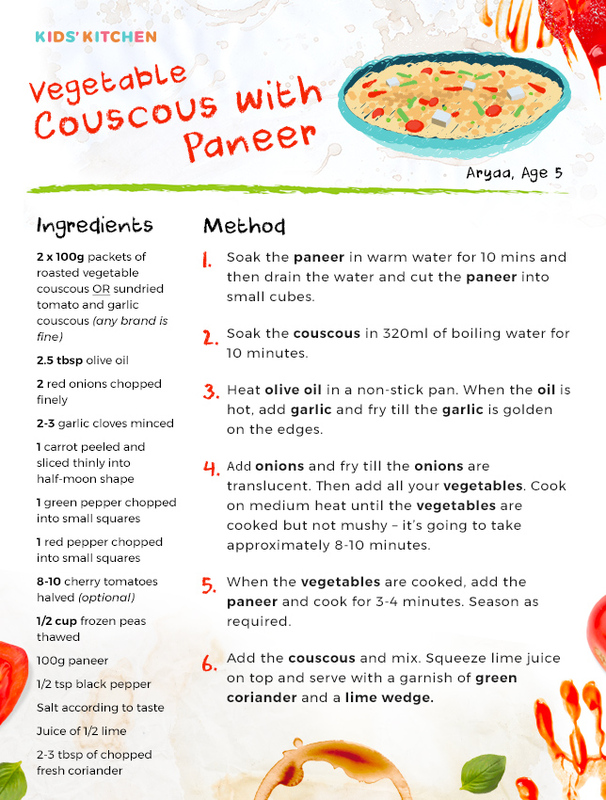 Therefore, it is important for us to teach children the importance of healthy eating as it’ll help with their development in the future. With a little help from mum and dad, Britain’s budding cooks have come up with some cracking ideas for you to try at home. From frittatas to cod burritos and paneer paired with couscous, our friends at Hotpoint and the Jamie Oliver Cookery School have helped us pick the five juiciest. 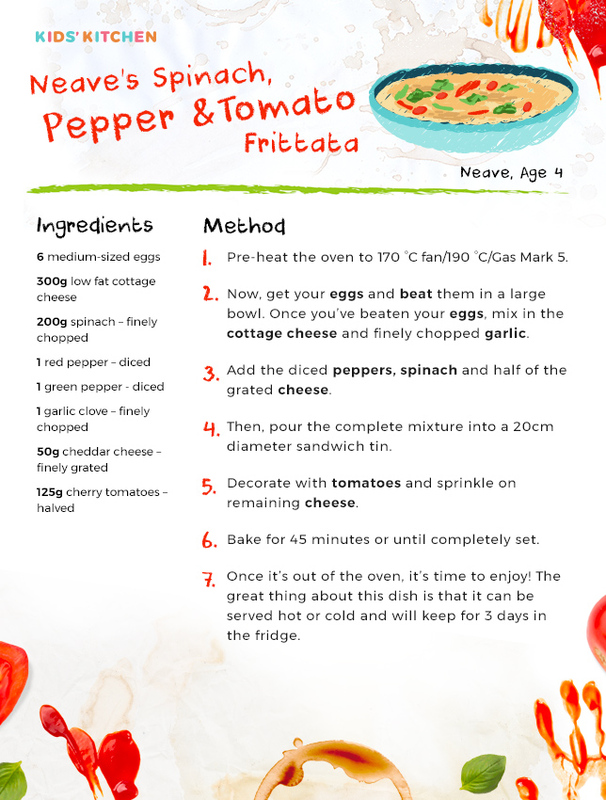 Share the recipes with your friends, your spouse, your colleagues – and get cooking! 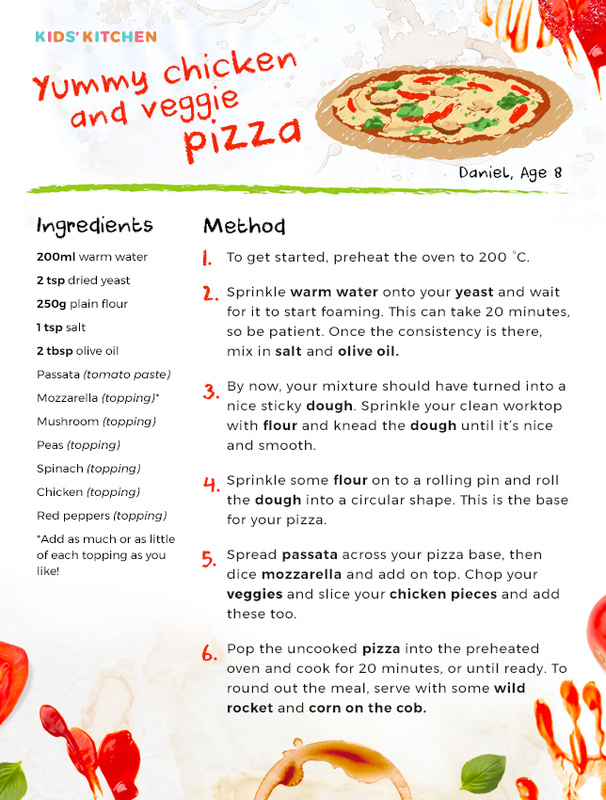 Lola has come up with a fun sharing dish for the whole family and wins bonus points for picking a sustainable fish. 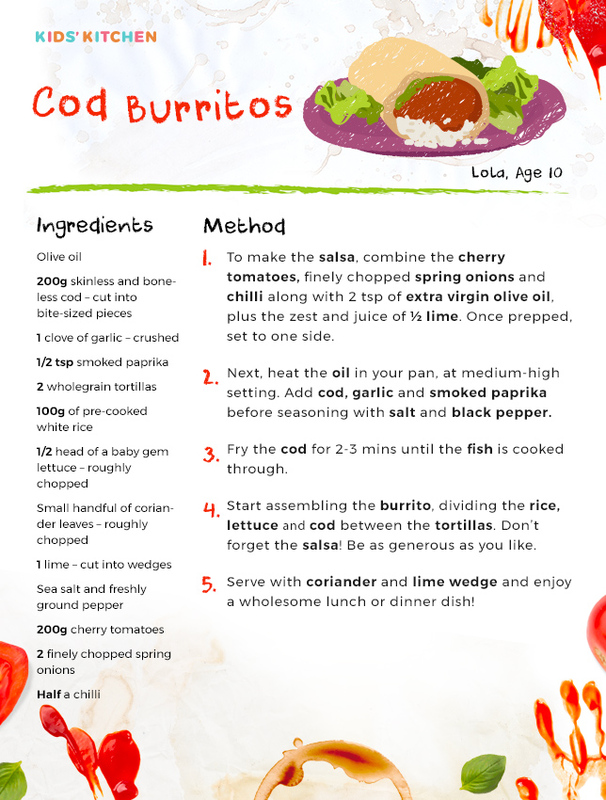 Her burritos contain rice and cod and are complemented by a salsa with plenty of chilli for a spicy kick. You’ve got a dish with loads of colour, loads of vegetables and most of the food groups to boot. Plus, it’s an easy recipe to try at home. In short, what are you waiting for? 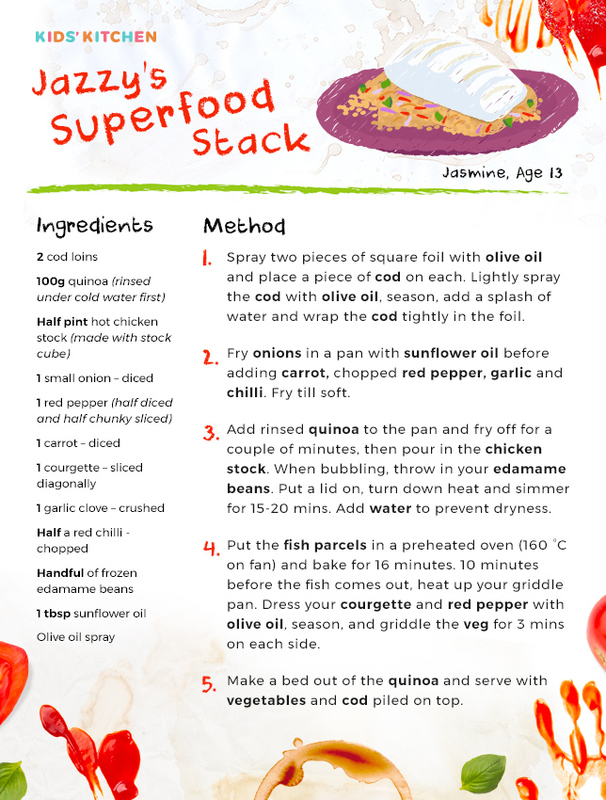 Jasmine’s “Superfood Stack” is going to take a little bit of time to prepare, but the results – a bed of quinoa with vegetables and cod piled on top – are worth t.